Tools like the Hospital Admission Risk Monitoring Systems (HARMS) 8 and 11 help to identify patients that would most benefit from a home visit, particularly critical as case loads and time demands grow, says Samantha Valcourt, MS, RN, CNS, clinical nurse specialist for Stanford Coordinated Care, a part of Stanford Hospital and Clinic. One of the key things to think about when implementing a home visit program is which patients should receive the visits. Who is at risk for having adverse events after hospital discharge, and how do we identify those patients? Just as there are many care transition models, there are many tools that exist to help to risk-stratify those at high risk. Some of them focus on certain conditions, including myocardial infarction (MI), heart failure (HF) and pneumonia (PNA). There are even iPhone apps, into which you can plug certain criteria, like a patient’s age, and whether they have they been to the emergency room (ER). They all try to predict if the patient is at high risk for readmission. At Stanford Coordinated Care (SCC) we use a tool called the HARMS-11. It’s a modified version of the HARMS-8, a tool created by David Labby and Rebecca Ramsay at Care Oregon. It’s an admission risk monitoring system; it stands for Hospital Admission Risk Monitoring Systems. The numbers 8 and 11 refer to how many questions are on the tool or how many items there are to answer. We use this tool in two ways: it helps me to identify patients that may need a home visit, and it also helps us to see if a patient is eligible to receive services in our clinic. Besides being a clinic for employees of the hospital and university, we focus on those employees that have chronic or complex health conditions. This tool helps us get a sense of whether they are struggling with many conditions, and what their social support is like. How many medications do they take in a day? Do they ever forget to take them or simply choose not to take them? The HARMS is written so that the patient can take it as a self-assessment. Positive answers to these questions give us a good indication that this patient may be a good one to see at home after hospitalization. Given that all of our patients have to have multiple conditions, there’s very few that I try not to see after discharge. But as our case load continues to grow and time demands other things, we’re going to make some decisions on who we see. We’re going to go back to this tool to help us do that. Excerpted from: Home Visits for High-Risk Patients: Tools, Timing and Outcomes. While previous years have seen extensive improvements in health information technology (HIT), analytic platforms and current healthcare solutions will offer better insight into a patient’s care, outcomes and cost, as guest blogger Holly Chavez explains. There are now powerful predictive analytics for stratification of clinical and financial risk in population health management systems that can help healthcare practices by delivering a quantitative picture of potential health risks and cost drivers within a patient population. With this added visibility, healthcare organizations and providers can evaluate a broad spectrum of patients. This enables them to focus on the entire population health demographic and drill down to individual patients, identifying patients in selected risk profiles and focus care management resources on those with the highest risk. This helps to elevate quality of care and also reduces the cost of care. 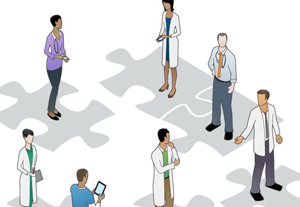 Today’s medical professionals rely on support from various tools and data analytics. 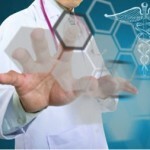 Regarding adoption of health IT, a 2013 study by Deloitte Development found that “Physicians working in accountable care organizations recognize improved care coordination and quicker access to clinical support (guidelines, lab reports, lab tests) as principal benefits.” Medical professionals find the process helps to simplify management of time-consuming projects by allowing them to collect data from a wide range of resources. Data analytics can also help medical practitioners to instantaneously evaluate high-risk patients and improve clinical decision-making by supplying evidence-based knowledge in respect to the patient’s data. To increase efficiencies and provide worldwide access, the data can also be integrated throughout multiple departments. Data analytics can also aggregate data across multiple systems, allowing individual providers on disparate systems to function as one large provider group. Population health management is a major focal point of the latest care and reimbursement models. However, to succeed, data analytics must continuously assess the population, identify risk factors, target individuals needing extensive care, and separate patients by risk. To better manage costs, providers will need to determine high-risk patients. Instead of solely focusing on clinical data, organizations with an eye for profitability must reconcile both clinical and financial data. The methods can also optimize quality of care for high-risk patients and help to lessen related pharmacy and medical expenses. The healthcare industry is experiencing transformation, and the new journey can affect healthcare delivery, now centered on a patient’s wellness and not costly methods of treatment. The effective use of advanced HIT in data capture can help providers to achieve success through population analysis and delivery of care at the appropriate time and place. Methods in the past often resulted in insufficient care, increased costs, and declining quality. However, streamlined analytics can benefit high-risk patients by identifying those in need of immediate care and allowing them to seek appropriate care management and support from primary care physicians and specialists, who encourage self-management and help them to stay out of the hospital for as long as possible. They can also ensure they receive the appropriate tests and screenings to manage their conditions. According to a recent study published in Health Affairs, the use of population health management systems with advanced data analytics and other HIT tools could potentially save $81–$162 billion or greater every year while greatly decreasing mortality and morbidity. Organizations with integrated electronic medical records (EMRs) and other HIT systems can leverage data to identify and address care gaps. Patient outreach can encourage patients to be involved in their own care. With an in-depth comprehension of the population’s risks and needs, organizations can better assess and manage patients at the highest risk. Guest blogger Holly Chavez has 12 years of experience in fields relating to electronics manufacturing, medical, and logistics industries. During her years as an engineer, she frequently worked with customers in the medical industry and appreciates the many ways that population health management systems offer better insight to healthcare providers regarding patient care and outcomes. The Center for Disease Control and Prevention predicts that one in three people will have diabetes by 2050. Furthermore, diabetes-related costs in 2012 totaled $245 billion, and the estimated cost of diabetes for 2020 is $500 billion, according to a new infographic from Tractivity. This infographic also shows the causes of diabetes, number of affected people, the costs related to diabetes and ways to prevent the chronic disease. You may also be interested in The Handbook of Health Behavior Change, 4th Edition. This resource contains chapters on lifestyle change and prevention and chronic disease management, with an intensive focus on specific behaviors (i.e. diet and nutrition, tobacco use) and chronic illness (i.e. diabetes, heart disease). It is organized around the specific behaviors and chronic illnesses with the most significant public health impacts in terms of morbidity and mortality. Evidence-based health coaching drives the population health management processes required to succeed in a value-based systemthe industry’s quantum shift to ‘Healthcare 3.0,’ advises William Applegate, executive director of the Iowa Chronic Care Consortium. How do we change to this Healthcare 3.0? One way is to create real patients that are in patient-centered medical homes. NCQA level three medical home recognition is great, but there are still a number of those medical homes that need to add ‘meat and potatoes’ to what they have achieved. Next, we need to build a true population health capacity. We need to develop differentiated health teams. You can’t really create a robust health coach as a professional in an organization and then not change the position description of others. The trained clinical health coach can actually improve the ability of a physician to operate at the highest level of their license. That’s part of how a health coach fits into a healthcare team. It’s not just an addition. It’s a kind of reformation of how we’re approaching healthcare with patients. You need to use trained performance health coaches to make this shift. And you need to activate patients towards self-care. And as I say over and over, we really need to inspire their own accountability. There are two big features in transforming care. One is transforming the conversation, and the other one is transforming the care process. In transforming the conversation, we need to employ a performance-oriented health coaching. That’s more than motivational interviewing. We need to rely on the science of behavior change. An awful lot of healthcare professionals deep down don’t believe that we can move individual behaviors. I don’t think we can change people’s lives dramatically. But we certainly can change some of their health outcomes, because we know that our chronic diseases are essentially learned; they’re exacerbated by things that we do to ourselves. Forty-seven percent of recently surveyed federal healthcare agencies believe mobile health (mHealth) will lower care costs and be more impactful than the discovery of penicillin, according to a new infographic from MeriTalk. This infographic also summarizes the effects of big data on healthcare and emerging medicine, as well as steps being taken by healthcare agencies to prepare for the use of big data. Want to know more about big data and mHealth trends? 2013 Healthcare Benchmarks: Mobile Health delivers a snapshot of mHealth trends, including current and planned initiatives, types and purpose of mHealth interventions, targeted populations and health conditions, and challenges, impact and results from these efforts. The demand for nurse practitioners, who account for 19 percent of all primary care in the United States, will double by 2020, according to a new infographic from Maryville University Master of Science in Nursing Online. This infographic also details how the career of nurse practitioner began in the 1960s, and its rapidly growing popularity. Learn more about the rise of the nurse practitioner with The Emerging Role of Nurse Practitioners in Expanding Access, Enhancing Revenue, a 45-minute webinar now available as a CD-ROM, via On Demand Web access or as a training DVD. Linda Lindeke, Ph.D., RN, and CNP, associate professor for the School of Nursing and Department of Pediatrics and director of Graduate Studies for the School of Nursing at the University of Minnesota, examined how nurse practitioners are being utilized in the physician practice, hospital and clinic settings to increase access to care and coordinate care for patients with chronic conditions. As incentive models change for physicians and their practices along with the industry’s move to value-based care, it is key to engage them in the evolving process, says Cynthia Kilroy, senior vice president of provider strategy and business development at Optum. After you find a common value-based vision, you need to spend time with the physicians discussing what value-based care is, including how it is going to impact them, and what it means for their practice, among other things. When you think about engaging physicians, which is how we typically roll this out across organizations, six key performance metric steps are needed to move this along. This is not something that happens in a couple of months. It takes one to three years to move a compensation model to a large 20 to 25 percent of incentives. After you find the common value-based vision, you need to spend time with the physicians discussing what value-based care is, including how it is going to impact them, what it means for their practice, how we support them, etc. Once you have alignment with that, the finding and designing of incentive metrics has to be done by the physicians. This cannot be done in a vacuum. It needs to be physicians from all different types of practices or specialties and different locations within the organizations that you look at. What are the incentives I want to measure? Then you publish the incentives and blind those incentives so that physicians can digest and challenge them. Something may need to be modified. Therefore, you should give that time and feedback. Once you have that feedback, you can unblind it. Organizations find unblinded incentives to be a very powerful tool, but you need to make sure that you have the alignment and agreement and that people believe in the metrics, because if you put metrics out that are incorrect or not of value, you have lost the opportunity to change that behavior. Then you create a shadow incentive reimbursement model, letting physicians know where and how it is going to impact them, allowing them to potentially change how they are practicing or leveraging the care team more. Finally, you implement the incentive compensation model. There are two phases. One is to meet the minimum, which is typically the first way that the incentives compensation is executed. The next is a rating factor around the quartile, and that is something that takes time as well. Next is the analytics platform. When finding, designing and publishing the incentive metrics, you build them, share them, get feedback and then approve the metrics. You need an analytic platform to understand and measure these new metrics that we are looking at. Excerpted from 6 Value-Based Physician Reimbursement Models: Action Plans for Alignment, Analytics and Profitability. It’s a scenario that occurs time and time again, and is a deep source of frustration for all involved: a physician refers a patient to a specialist, but hears nothing back from that specialist. In fact, they learn that the visit happened only when the patient returns for his primary care visit, but without any necessary information. Or, a specialist receives a patient who has none of the pre-work or test results necessary for an effective visit, which ends up delaying care for the patient. Or, on the flip side, the specialist receives patients that had numerous unneeded and avoidable tests done prior to the referral. The culprit? Lack of accountability and clarity, the foundations of the Care Compact, an agreement between two practices that outlines the roles and responsibilities of each in order to promote patient-centered care, says Robert Krebbs, director of payment innovation at WellPoint, Inc., during Care Compacts: Forming the Foundation of Care Teams with PCPs and Specialists, a May 2014 webinar now available for replay from the Healthcare Intelligence Network. The Care Compacts (also known as Care Coordination Agreements and/or Referral Agreements) are key to WellPoint’s patient-centered medical home neighborhood (PCMH-N) pilot, Patient-Centered Specialty Care (PCSC). The program was launched in January 2014 with a select number of pilot practices, ranging in size from solo practices to large group practices in markets where there is a strong patient-centered medical home (PCMH) foothold, says Krebbs. Commitment to practice in a patient-centered fashion across all physicians delivering care to a patient. The reason these care agreements work is because they provide a standard set of processes for roles in care coordination, truly defining what care coordination is between two practices. While many practices across the country agree they need care coordination, they don’t always agree on what the concept of care coordination is, Krebbs continues. At their simplest, they help to clearly outline who’s going to do what in a referral or consult situation. By cutting out inappropriate duties and maintaining appropriate ones, they help to curb healthcare spend and improve patient care, Krebbs says. “The care compact isn’t intended to solve all the world’s problems. It’s not going to make care coordination perfect, but it’s a starting point. Just like the patient-centered medical home (PCMH) provides a foundation for the medical neighborhood, the care compacts provide a foundation for care coordination between practices. It’s an essential starting point to further care coordination expectations across that medical neighborhood,” says Krebbs. Listen to an interview with Robert Krebbs. It is projected that Medicare could save as much as $940 million over four years with accountable care organizations (ACOs), according to a new infographic from University of Southern California Keck School of Medicine. This infographic also presents an overview of ACOs, as well as the goals of coordinated care, ACO structures, types of programs and ways patients can benefit from ACOs. You may also be interested in 2013 Healthcare Benchmarks: Accountable Care Organizations, HIN’s third annual compendium of metrics and benchmarks on ACOs. This 65-page report documents the numerous ways in which accountable care is transforming healthcare delivery, particularly in the area of care coordination, where the ACO model has had the greatest impact for this year’s respondents.